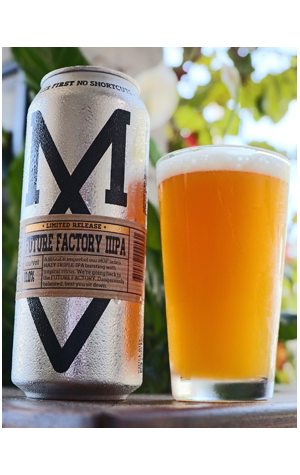 That said, while such hefty booze content makes Future Factory a big beast, it manages to avoid being a brash one. You can certainly smell and feel the booze that lies beneath and a thick mouthfeel and attendant sweetness reinforce that fact you've got a big beer in your hand. But each element of its hop-derived flavours – the tropical fruit, the blood orange and the resinous pine – still leap from the beer while its relatively low bitterness ensures your palate isn't crushed under its own weight.